If hearing tests demonstrate that you have a sensorineural hearing loss, we have some great news – modern hearing solutions are nothing like the large, noisy, clunky and whistling hearing aids of days gone by! Hearing loss has a major impact on quality of life from reduced work effectiveness to feelings of isolation in social settings. Conditions can be minor or more severe, and not only stems from old age. Other causes such as genetics, exposure to loud noise, and physical trauma can lead to subsequent losses in hearing. 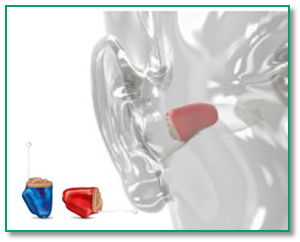 Unlike most hearing clinics in Perth, we are not owned by a hearing aid manufacturer. 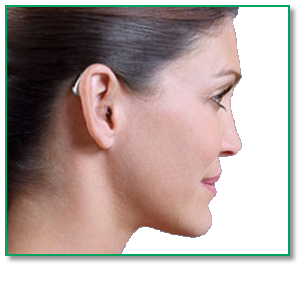 So you will have the option of the most suitable devices from all leading hearing aid manufacturers. Additionally, we pass on the benefit of our lower cost structures to ensure modern hearing solutions remain affordable to all people within our community. Further to this, we offer discounts to WA Seniors Card holders. Despite being are equipped with many incredible features that make even the most difficult situations manageable and they come in devices so small, that no one would ever notice that you’re wearing a hearing aid. Read more about invisible hearing aids here. Hearing loss commonly affects different frequencies of sound by varying degrees. Therefore, it make sense that a hearing aid that aims to restore people’s hearing towards normal levels will amplify the different frequencies of sound entering the hearing aid by differing amounts. 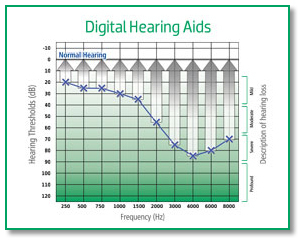 Latest Digital hearing aids are programmed to re-balance a wearers hearing. As sound enters the hearing aid, it is broken into multiple frequency bands. Each band is then amplified by the amount necessary to return the wearer’s hearing to normal levels at that band. Whistling or squealing hearing aids can be a source of discomfort and embarrassment for hearing aid wearers. This is related to feedback – sound leaving the hearing aid re-entering the hearing aid, much like when a microphone is too close to a speaker during a presentation. Modern hearing aids alleviate this problem completely. Digital hearing aid can now detect the frequency and the wave shape that is causing the feedback and counteract it within fractions of a second. So, there will be no annoying and embarrassing whistling from your hearing aid. The advancements in feedback management have enabled engineers to develop devices that leave the ear canal open, allowing natural sounds to enter the ear canal. Previously, wearers of hearing aids would complain of a “talking in a barrel” sensation with hearing aids. Open fit hearing aids have thin clear tubes that enter the ear canal and tiny cases that rest behind the ear, making them barely visible. Older hearing aids was that they amplified sound equally – regardless of whether the source of the sound is the person who the wearer is listening to, or background noises, such as traffic, air conditioners, or ambient noise from a crowded room. Unfortunately, this problem led many people to complain that their hearing aids were “too loud”. The latest hearing aids can discern the difference between speech and background noise. The hearing aid then amplifies the speech sounds and reduces the amplification of background noise, creating enhanced listening comfort and clarity. One of the greatest limitations caused by hearing loss is the difficultly it creates trying to follow conversations in the presence of background noise. When you are talking with someone you are most often facing in their direction, particularly in difficult situations when listening requires greater concentration. A modern digital hearing aid can pinpoint the location of sounds. It employs more than one microphone and gauges the difference in time that it takes sounds to reach each microphone, and then triangulates the source of the sound – even though the microphones are only a few millimetres apart! The greatest amplification is then applied to sounds emanating from in front of the wearer. Sound coming from the sides and behind is suppressed. Think for a moment how beneficial this technology will be in a noisy restaurant or café. 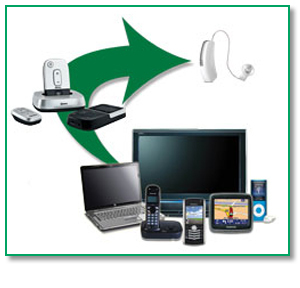 We live in a digital age – mobile phones, hands free phone accessories, digital Tvs, iPods, laptops and other Bluetooth enabled devices are part of our everyday lives. Manufacturers have turned to Bluetooth and 2 GHz technology to improve the effectiveness of hearing aids when used in partnership with these devices. Hearing aids now transform into wireless ‘radio’ headsets that connect directly to these devices, and this greatly improves the quality of the sound signal being received. 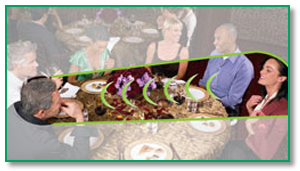 Bluetooth hearing aids are excellent wireless communication resource. Different listening situations often call for different settings within hearing aids in order to maximise their effectiveness. One minute you may be listening to music, the next shopping for groceries in a busy supermarket and then head to ground to watch a game of football. Our advanced and latest hearing aids allow the user to change the settings by pressing a small button on the device. More advanced hearing aids will even listen to the environment and change the hearing aids settings automatically, without the wearer needing to touch or think about their hearing aids. We offer free checks using a number of procedures to assess the hearing health of our patients. If the tests demonstrate sensorineural hearing loss (damage to the inner ear or to the nerve pathways), we have modern solutions available from all leading manufacturers. Rather than simply communicating the benefits of modern hearing aids, we would prefer that you hear for yourself. That is why Expert Hearing Care offers clients free home trials of the latest digital hearing. Call us or click here to schedule your free home trial.